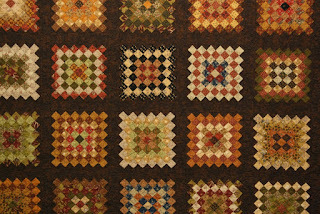 Bloggers Quilt Festival Fall 2012 is happening now. I thought I would show off the Grandmother square quilt that me and my mom, Betty and Aunt Myrna did together. We started this quilt over a year ago and got it finished this summer. Betty and Myrna did the piecing and consulted with me on many occasions. We had a great time shopping for all the fabric. We had two major shopping trips. Then Betty and Myrna worked on the top. 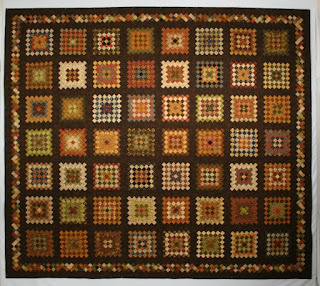 I quilted a runner for Myrna to try out the quilting and then did the bigger quilt this summer. We made this quilt to donate for a raffle. The little one room school my dad and his brothers went to is now a community hall and is in need of a new roof. We have made this as a thank you for the years the boys went to school. They all three continued on to University. 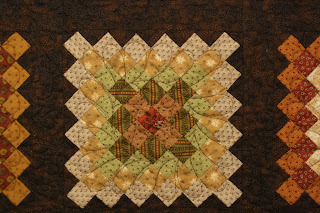 We used mostly civil war reproduction fabrics and a Moda fabric in brown for background and sashings. I used feathers on each of the blocks. and a feather on the outer pieced boarder. 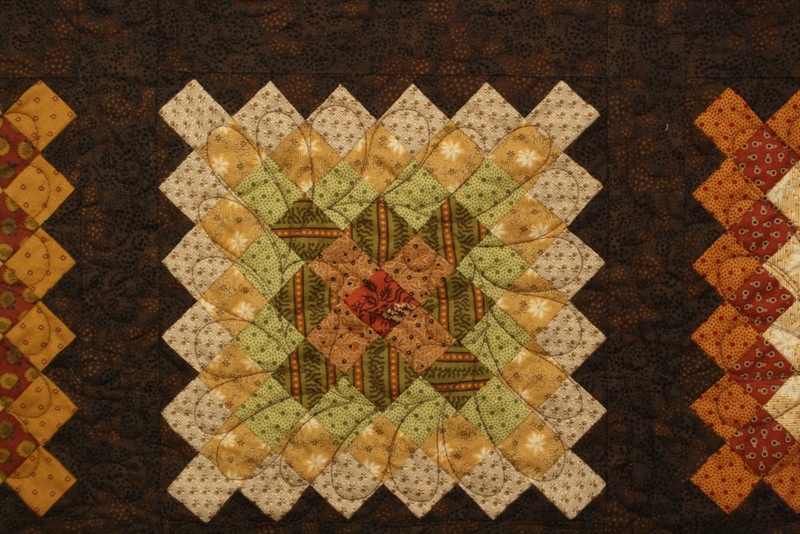 There is a little filler quilting on the brown. 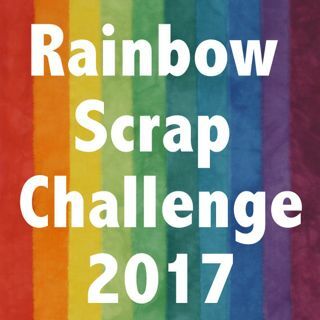 Best categories: Group, Professorially machine quilted, Bed Quilt. Lovely quilt! Great warm rich colors and how nice that you made it with your mom! Beautiful! I love the pieced border too. How generous of you to give it for a raffle . . . I hope it brought in lots of money for the school. Beautifully done, Cathy! And a wonderful tribute to honour the past -- and the future in the re-roofed hall. What a blessing! Oh, I love this quilt. 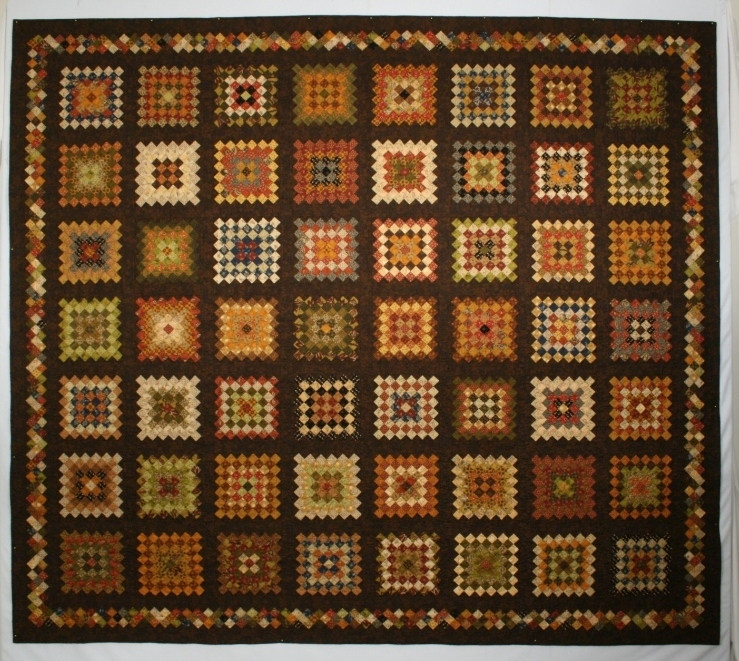 Wonderful colours and quilting. Wery nice thing to do! This is SO BEAUTIFUL, and so much work. Love the scale of it. And I'll bet the folks at the schoolhouse were thrilled that you chose to be so generous with your time and talents. Lovely! How special that you made it with your mom and aunt. Beautiful feather quilting. beautiful fall colors! great quilt. Cathy: What an amazing quilt! And what a great way to say "thank you" to the school your Dad and brothers attended. When is the raffle? 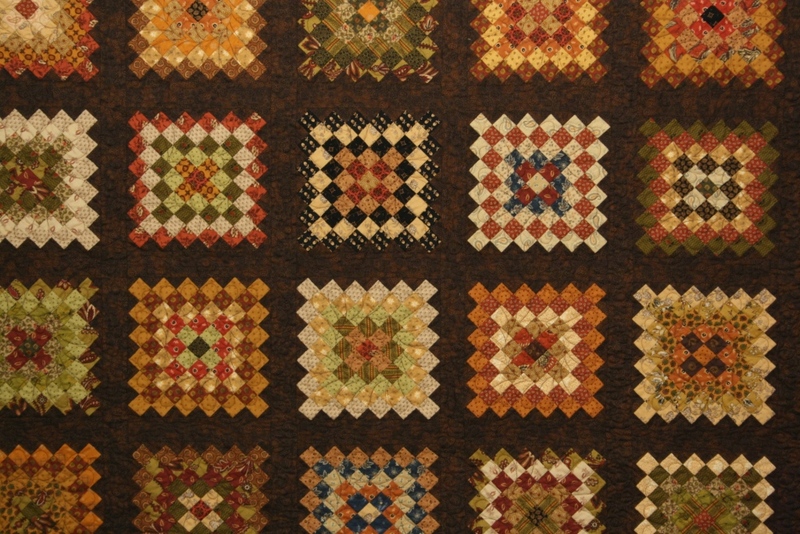 How much money did the quilt raise for the school - community centre?